This year the entire musical world celebrates the 145th-year anniversary of the greatest Russian-American pianist and composer Sergei Rachmaninoff, who's life path is still inseparably associated with the city of Los Angeles. The competition will take place at the concert hall of historical Holy Virgin Mary Cathedral in Silver Lake - one of the oldest Russian religious and cultural centers in the United States. 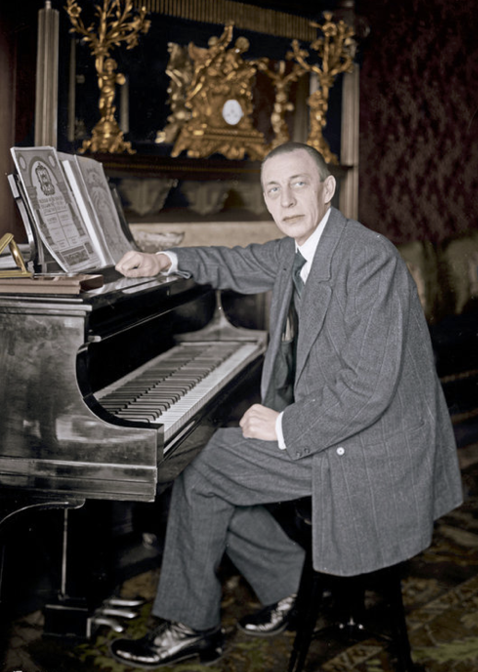 Rachmaninoff was a parishioner of the Cathedral during his entire stay in Los Angeles. The Cathedral became a permanent home for one of his grand pianos, and this particular instrument will be generously offered to perform for the finalists of the Competition! The Competition Winners will receive a privilege to perform in future international concerts organized by Global Musical Bridges in 2018-2019 concert season. All the Winners in age categories B and C will receive a scholarship towards the tuition of the prestigious 2019 Costa Rica Piano Festival (San Jose, Costa Rica). The Competition is open to young pianists of any nationality, from 5 to 16 years of age. *The contestants in each category must be of qualifying age as of November 1, 2018. Participants have to submit a video recording performing a free choice repertoire (max duration 10 minutes). The recording may include either or not the same pieces which will be played in the Final Live competition round. Recordings should be a fair representation of the contestant’s abilities with visible hands at all times, but need not be of a professional quality. All compositions must be performed by memory, including those for the First Online Round. The board of judges will choose finalists that will advance to the final round. Finalists will be announced on the website and will be notified personally by e-mail on or before Friday, October 19, 2018. Finalists will perform on Saturday, November 3, 2018, at the Concert Hall of Holy Virgin Mary Cathedral, Silver Lake, CA. The Winners will be announced on the website and will be notified personally by e-mail at or before 12 AM on Saturday, November 3, 2018. All the winners must attend the Award Ceremony to receive the prizes, and perform in the Winner's Concert on Sunday, November 4, 2018. - The application and required materials must be submitted on or before Friday, October 19, 2018. - Please submit Online Application Form on the bottom of this page, including a link to an unedited one-take single camera video (YouTube link or similar media) for the First Online Competition Round. - The application fee is $99. All application fees are non-refundable. We only accept online payment via PayPal. Please include the participant's name and age category in the PayPal comment field. - Late and/or incomplete applications will not be accepted. - Contestants of categories A and B should prepare two compositions of contrasting styles, including one by Russian* composer. - Contestants of category C should prepare three compositions of contrasting styles, one of which has to be written by Russian* composer. The other two can represent two contrasting compositions of Baroque, Classical, Romantic or Contemporary** Era. Contestants must perform from memory in all rounds including preliminary recordings. No simplified versions of traditional repertoire are allowed. No free improvisation or pop music is acceptable. The program should be played by memory with no repeats. No repertoire changes are allowed after the application is submitted or at any point during the competition. Category A – up to 8 min. Category B – up to 12 min. Category C - up to 16 min. The judges' names will be announced on September 1st. All the finalists will be provided with hard copies written personal comments on their performances. All the decisions of the adjudicators are FINAL.